How does an intensive driving course in Portsmouth work? Put your foot down on the accelerator and increase the speed of your driving lessons with Edwards. Our intensive driving course in Portsmouth (crash course) is a specially designed driving course, incorporating over 30 years wisdom in the industry. We have tailored the intensive driving course in Portsmouth to cover all aspects of the driving syllabus in a short amount of time in order to get you through the test in as little as 1 week! So what does the intensive driving course in Portsmouth include? We base the driving course on 3 stages, each increasing in skill and difficulty. The intensive driving lessons will focus around local test routes near the Southwick practical test centre. 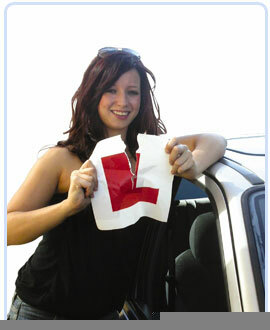 By the end of the intensive driving course you will be comfortable with the both the test and all aspects of driving. For more information or to book please contact head office on 01202 751959 or 07929 661 714, or drop us an email and someone from the office will be in touch. We cover Portsmouth and all surrounding areas including Aldershot, Andover, Basingstoke, Bordon, Brockenhurst, Eastleigh, Emsworth, Fareham, Farnborough, Fleet, Fordingbridge, Gosport, New Forest, Southsea, Romsey, Totton, Hedge End, Winchester, Waterlooville, Yateley, Havant, Chichester, Southampton and Winchester.